Microsoft has confirmed that it will hold its Future Decoded event in London starting on 31st Oct. The two day event will include a keynote speech by Panos Panay, and six other tech luminaries. 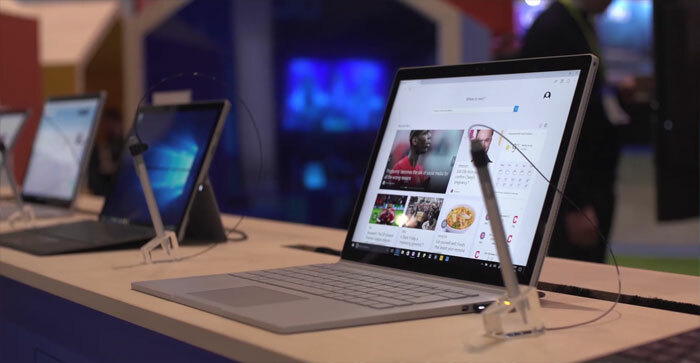 Hardware tipped for launch at the event include the likes of; the Surface Pro LTE, a new Surface Book, and / or a slightly updated Surface Book with Performance Base. Mary Jo Foley, writing for ZDNet, doesn't think we will see a new version of the Surface Studio AiO or second generation Surface Hub at this time. October is a traditional month for Microsoft to offer up new Surface devices and a source speaking to The Verge asserted that there would be at least one new Surface device at the Future Decoded event, hosted at ExCeL London. Beyond tweaked new Surface versions we might see the first commercial ARM-powered Windows laptops arrive. These devices are due this year but it is not known whether Microsoft will make its own 'Cellular PC' or it will just rely on and promote partner offerings from Asus, HP, and Lenovo. However, the choice of London rather than New York might be due to the launch device(s) being deemed to be "more evolutionary than revolutionary," thinks ZDNet's Ms Foley. Thus she effectively rules out a significant new product launches like the aforementioned Snapdragon-powered always-on always-connected Cellular PCs, or 'Andromeda' tablet/phablet devices with telephony facilities.